Bill Gross claimed he was wrongfully pushed out as PIMCOs CIO by a cabal of executives seeking a bigger slice of the bonus pool. 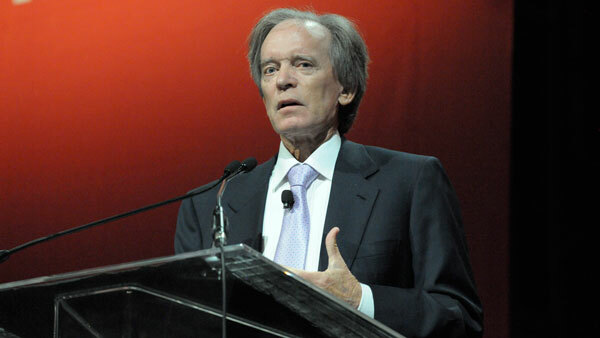 Bill Gross sued Pacific Investment Management Co. and parent Allianz SE for “hundreds of millions of dollars,” claiming he was wrongfully pushed out as the bond giant’s chief investment officer by a “cabal” of executives seeking a bigger slice of the bonus pool. The complaint’s filing in California State court couldn’t be immediately confirmed in court records. Michael Reid, a spokesman for Pimco, declined to comment. The complaint presents a detailed account of the events leading up to Gross’s departure on Sept. 26 last year, a move that rattled bond markets and prompted record redemptions at what once was the world’s largest mutual fund. It portrays Gross as an advocate for lower fees and traditional, lower-risk bond investments who was pushed out gradually by other executives seeking to expand into riskier assets and higher-fee products. Gross, 71, claims the Newport Beach, California-based firm owes him at least “hundreds of millions” for wrongful termination, breach of written contract, and breach of covenant of good faith and fair dealing, according to the document. Gross was expecting a bonus of about $250 million for 2014, with most of that due in the second half of the year, according to the lawsuit. Because he left the firm days before the third quarter ended, Pimco refused to pay him a proportionate amount, said the complaint, which claims that his termination resulted in damages to Gross of no less than $200 million. Gross, who is worth $2 billion according to the Bloomberg Billionaires index, says he wouldn’t keep money he might recover in a lawsuit. Patricia Glaser, Gross’s lead attorney, said in an e-mail that all proceeds from the lawsuit would go to charity, including the Pimco Foundation. At its height in 2013, Pimco oversaw about $2 trillion in assets. It’s since shrunk to $1.5 trillion. The Pimco Total Return Fund, which Gross oversaw since inception in 1987 until his departure, now has $95.5 billion of assets under management, about a third of what it had at its peak. Gross is now running the $1.38 billion Janus Global Unconstrained Bond Fund for Janus Capital Group Inc., which has lost 1.9 percent in the past year, according to data compiled by Bloomberg. That performance puts him in the middle of the pack, trailing 51 percent of unconstrained funds.